Traditions are what draw us in and pull us back. They are cherished and revered. They give us chills and create wonderful memories of times spent on campus. Upon them, many great things can be built. They create the tie that binds the entire WPI community—the students, faculty, staff, and alumni. As a WPI alum, you can be proud to count yourself among this illustrious group of innovative problem solvers who are always breaking new ground, seeking better solutions, and creating positive change in the world. You are part of a worldwide network of more than 38,000 alumni who live in more than 100 countries and are working in diverse fields and professions. Kelly came to WPI uncertain about how to differentiate among all the choices. But she found her way, within the school’s unique culture, to her passion. 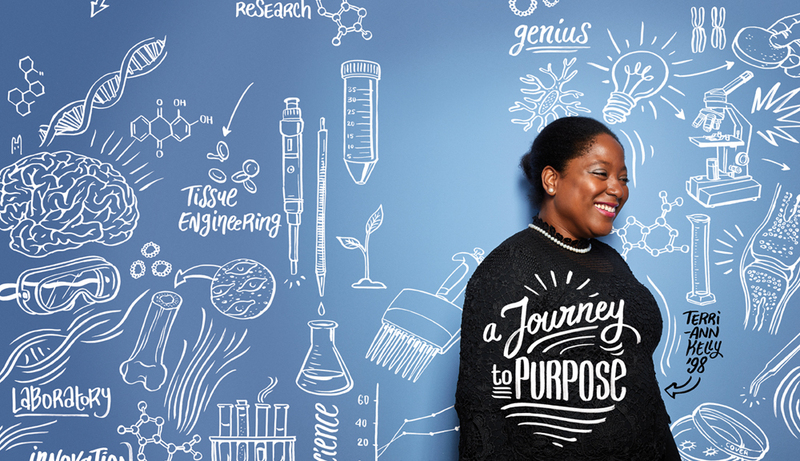 It’s not unlike what she does today as lead cartilage tissue engineer at biotech innovator EpiBone — growing stem cells in a special culture, from undifferentiated state to bone and cartilage, and finding their function as individualized replacement parts for the human body. Michael Mazzucco was a first-generation college student and the first among his seven siblings to earn a degree. Money was tight when he was growing up, so he went to a less-costly two-year technical college before transferring to WPI. Once there, he squeezed three years of academics into two, graduating with a BS in civil engineering. If he has any regrets, it’s that his grueling schedule didn’t leave time to play sports or immerse himself in college life. But then he got a do-over in the form of his daughter, Jena ’17. 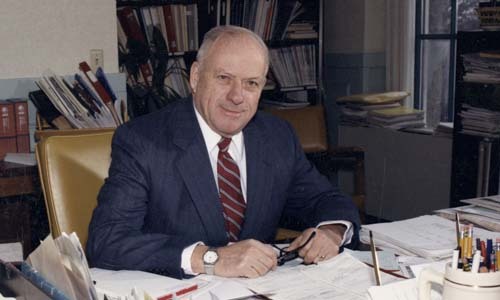 WPI's latest book, The Presiding Genius of the Place, explores the life of the late Bill Grogran '46, dean emeritus of undergraduate studies, whose influence and leadership forever changed WPI. 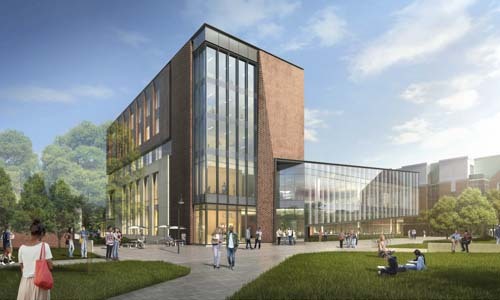 The Foisie Innovation Studio and Residence Hall, as pictured in this architectural rendering, is named to honor WPI's most generous benefactor, Robert A. Foisie '56—but it also pays homage to the university's growing tradition of philanthropy. Every gift makes an impact. The Alumni Relations team is located in Higgins House.